One of the most timeless Disney figures of our time, Minnie Mouse has brought us humour and delight for years. Celebrate the whimsical spirit of Minnie with the Classic Minnie Mouse charm featuring sterling silver and bright red enamel detailing. 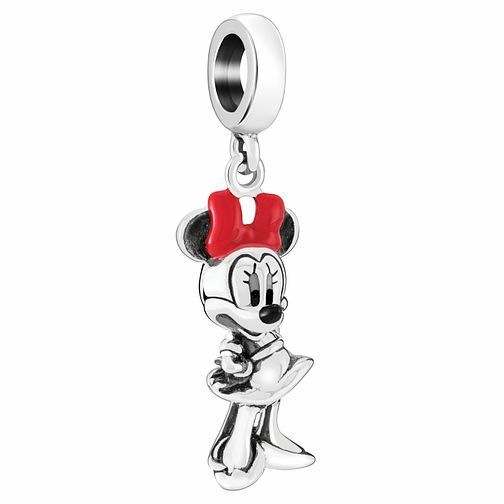 Chamilia Disney Minnie Hanging Charm with Red & Black Enamel is rated 4.8 out of 5 by 5. Rated 5 out of 5 by Anonymous from Beautiful charm Beautiful Minnie charm, excellent details and looks fab on the bracelet!